There’s a general misunderstanding among most bloggers: you think that simply getting people to read what you’ve written is the point. In an ideal world, they just read your blog post and immediately (and happily) sign up for your newsletter, download your “ultimate guide,” and head on over to your online store. Your amazing content leads to conversions which translates to cold hard cash in the bank. It’s as simple as that, right? Yes, that is what can happen. That is what should happen. But as long as you hold on to that initial misunderstanding, that isn’t what will happen. The truth is, readers don’t automatically become customers. They tend to stay readers unless you make a concerted effort to convert them into a customer. So how do you write a blog post that actually converts readers into customers? Bad content sells nothing—and that’s on a good day. Worse, bad content can actually annoy or frustrate readers and drive these potential customers away from your blog. On the most practical level, the quality of your writing and your ability to put words together for a particular impact matters. Every day 2.73 million blog posts are published. That’s a heck of a lot of competition, so it makes sense that a heck of a lot of attention has been devoted to the importance a blog post’s headline—the first, and often only, part of your post that people will ever see. Some bloggers cater heavily to the search engines and insist that the headline must first perform well for these bots. If people can’t find your blog post, the thinking goes, how are they going to read it? But what if your analytics tell you that your readership isn’t coming from search queries, but from social media, aggregation, and other sources? This is more and more common, and sometimes those search-engine-optimized headlines are a bit awkward. The first and last words count. Keep the action (verbs) at the start and end, with less important words in the middle. Clearly tell the reader what to expect from the blog post. Are you providing a step-by-step guide? Is it a humorous listicle? Are you warning them from imminent danger? Have a useful but urgent message. 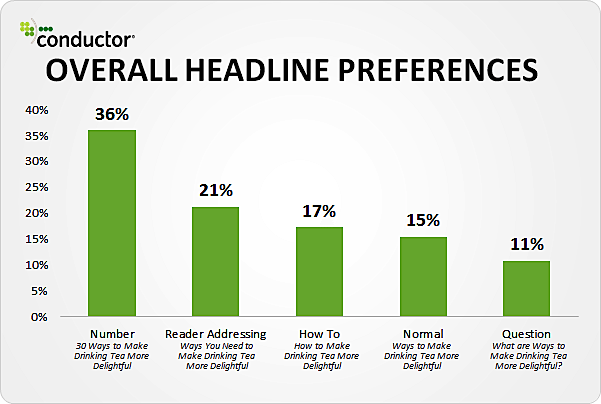 Research reveals that 25% of readers prefer an overstated headline, so don’t be afraid to use adjectives and adverbs (e.g. best, smartest, fastest). Be believable, yet intriguing, by using a purposeful psychological approach (e.g. surprise, questioning, how-to). 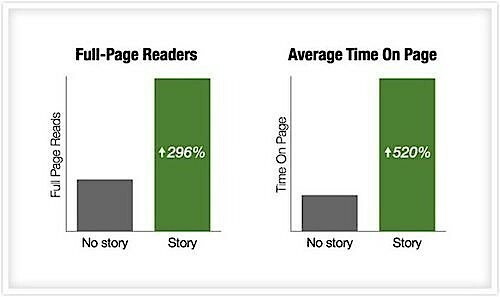 The 80/20 Rule: 80% of people will read a headline, but only 20% will read the rest of the blog post. Whether this speaks to reader laziness or writers creating bad headlines that don’t encourage people to read on is hard to say. So remember, bad (or even lukewarm) headlines = no readers. Consider this sobering fact: only 18% of your readers will actually make it past your headline and read your blog post. And of those, not every reader will convert every time. Some might have to develop more trust, some may not have been convinced from that one post. Free Bonus Download: Get ready to receive more actionable info to help you write blog posts that will convert your readers into customers — info not found in this post! Click here to download it free. But if those readers don’t get past the first sentence or two, you can be absolutely sure they won’t convert. Your lede—that attention-getter at the start of the blog post—has to completely hook and reel in your reader. Do you sound smarter when you use big words? According to a study published in Applied Cognitive Psychology, the answer is no. I met a woman at a networking event last year. I’ll call her Nicki. Nicki and I chatted for a few minutes, and she struck me as smart and motivated. I liked her. That was six months ago, and now Nicki’s emails are driving me insane. You simply must find a way to get the reader to keep reading, and a vague, rambling opening peppered with generic “facts” is not the way to do that. One final tip: write your introduction at the start, but when your blog post is finished, go back and revisit it. Chances are pretty good that you’ll immediately see it’s not the right hook. So rework that lede because it’s the second most important aspect of your blog post. People don’t care about facts. They care about stories, and what happens next. Buffer conducted a test, with one version of a blog post that opened with a story that segued into the content, and a second version of the same blog post that began with a “no-nonsense intro” that immediately dove into the content. What happened? The version that started with a story resulted in 296% more people reading to the end of the post and spending 5x more time on the page! Why do stories capture our attention so much? Because storytelling has been an important means of communicating and connecting with other people since the beginning of time. Further, when hearing or reading a story, our brains actually react as though we’re experiencing the story firsthand. Keep in mind that you’re not just writing a novel, though. You have a desire to get readers to do something. So while a story has a beginning, a middle, and an end, in the blogging world, it should also have plenty of subheadings, bullet points, pull quotes, and other bite-sized easy-to-grab content bits that break it up. Why? Readers skim and scan. Feed that need and tell your story both in the body and in the headings. Make it possible for a skimmer to still get the message. Remember, you’re not telling stories to tell tall tales. You’re trying to build trust. And part of that means showing, through outside content and examples, that what you’re saying is true. Which blog are you going to return to? The one that is data-driven, trustworthy, and authoritative, of course. Find research, studies, examples, true anecdotes, imagery, and anything else that is high quality and from a reliable source that backs up what you are saying. Your post doesn’t have to be filled with links and quotations, but outside sources and proof must be woven through your own expertise. If you’re unsure of where to find research tools, start with Google Scholar, Infomine, and government sites. If your headline grabs them and your lede hooks them, you’d be a fool not to ask them to act. Strangely, too many bloggers write great content and never ask their readers to do anything about it. Sign up for the e-mail list. Share a specific link or tweet on social media. Whatever your call to action (CTA) is, you must give your reader something to do! Though it may not seem like it’s a big deal, e-mails that include a well-crafted call to action get 371% more clicks than those that don’t. Your conclusion isn’t simply tying up loose ends, but reminding readers of a specific and urgent loose end they need to deal with that will benefit them. If you’ve written a compelling enough piece, that call to action should be fairly easy. Writing a good call to action need not be a tricky, terrifying thing. It just has to focus on what the reader gets out of it. And rather than provide general, generic CTAs, like “Submit Your E-mail,” “Buy Now,” or “Order Here,” write it from the point of view of the user. What is she getting? How will it benefit her? What value can you offer her to make her life a little bit easier? A/B testing shows that making the CTA concrete, personal, and urgent increase conversions up to 90! Be easy to complete. This is not the time for complicated buttons and multiple clicks. This might not be the place for a 45-question survey. Be related to the blog post, both topically and in type of request. For example, a quick 300-word blog post might not be the best vehicle to sell a $600 training course, but it might be ideal for an e-mail list signup. A blog post without any CTA is a completely missed opportunity. You force readers to stay readers and never become customers. Believability, for a writer, comes through a variety of practices. Your language and tone is conversational, genuine, and real. You aren’t putting on affectations or using jargon or words that confuse or isolate the reader. You write for a specific audience—your audience—so that they identify with the problems you’re describing and the solutions you are promoting. You write well, i.e. your copy isn’t full of errors such as typos or grammar problems. People pick up cues on whether to trust and believe you based on these types of qualities, often without even being aware of it. You can have a great story, a great approach, and a great CTA, but fall short on these three points and you can kiss your readers goodbye. Understanding the structure of what makes a good blog post is only part of it. You also have to know how to write in order to push people’s customer buttons. In other words, why do people buy? Why do I need this? This is where you show that what you are offering will either get rid of a problem a reader has or will give them a result they would like to have. Why should I buy it from you? This is all about trust and credibility. Customers want to know that you’re going to deliver on your promises and aren’t going to rip them off or make them look like a fool in front of their boss or peers. Why should I buy it now? This is the trickiest part of convincing someone to become a customer. It requires that you ask the right questions so that you can prove why right now is the right time to buy. Understanding why people make the purchases they do is all about focusing on them, not your product or business. That way, you can really speak to them with the words that they would use and the emotion that they are feeling. 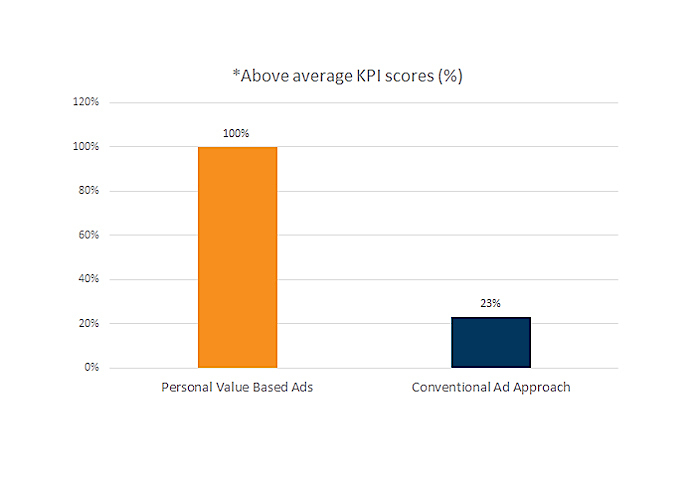 A study by Merkle reveals that the efficacy of an ad (or, in this case, call to action) skyrockets by 77% when you can match the benefits of your product or service to the customer’s values—as opposed to traditional ads that don’t necessarily link consumer benefits with consumer values. You might be an excellent writer, but unless you’re interested in only writing essays and have zero interest in converting readers into customers, you must understand why people buy in order to outline and discuss key points in your blog post accordingly. Discuss your topic in terms of setting up the problem and then presenting the solution. Write in an authoritative yet approachable way so readers can see that you are to be trusted. Illustrate why it is imperative to deal with this problem as soon as possible. Every topic can be framed in this manner, and every topic can wander around and present mere information with no prodding for the reader to take action. Your choice. Is your sole reason for writing a blog post to turn a reader into a customer? Each blog post can’t be written with the immediate end goal of gaining a new customer. Some blog posts may be justified in that regard, but generally speaking, you want to avoid the hard sell in your copy. Instead, customer conversion needs to simply be hanging out in the back of your mind whenever you create content. The ultimate goal of your blog posts is to create trust, which you do by giving the reader something of value, backing it up with research, and then showing them how it benefits them. Trust is the second step in the buying process mentioned earlier, and it can’t be created overnight, or in one blog post. Will you continue to help me if I commit? If every blog post you write focuses on the hard sell, you’ll struggle to build trust because readers will simply see you as an annoying salesperson (like those sales people that hover around you trying to upsell you from a pack of batteries to a 70-inch HDTV). Readers will clearly see that you are only interested in what’s in it for you. Think of it this way: every blog post must point towards something. Some blog posts are news-oriented, some are pure entertainment, some are research articles, and some, like yours, are pointing to customer conversions. All these blog posts must have excellent writing and appropriate tone, but understanding what you are ultimately pointing to will dictate how you write and how you direct your reader. Overall goal? Convincing your readers to become customers. Individual blog post goal? Excellent writing that builds trust and solves problems by showing that you have the answer that they’re looking for. As the scope of content marketing continues to expand, it has become increasingly important not just to produce content, but to produce content that is 10x better than the rest and establish yourself as the go-to expert. Competing for the finite attention spans of your customers is no easy task, and that’s why quality content needs to be the top priority in your digital marketing strategy to drive traffic to your site. If you need help engaging your audience with quality content, click right here to see how Single Grain, a digital marketing agency with a proven track record, can help you!